When the first sign of warm weather is the yellow splash of daffodils, it’s easy to convince people to plant bulbs, but months earlier when those spring flowering bulbs need to be planted, people tend to forget to buy them. Presented with this challenge of igniting passion and reminding gardeners to plant spring flowering bulbs, Garden Media Group created “Fall… in Love with Spring Bulbs”, a campaign for iBulb, the flower bulb association based in The Netherlands. Katie Dubow, creative director at Garden Media, says bulbs are in Garden Media’s DNA. “We’ve worked with a number of bulb companies over the years. In fact, one of Garden Media’s first clients sold bulbs online out of Holland,” she explains. Garden Media created a similar campaign for Costa Farms. For more than 10 years, O2 for You has raised the profile of houseplants and increased the value of the indoor plant industry as a whole. Verdous heard about Garden Media through one of their American members. They were talking about the results that Garden Media was getting for their clients. 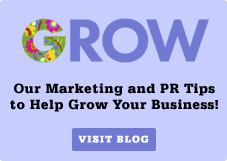 “Garden Media has a reputation for driving online traffic and building brands on social media. We are looking forward to seeing what its team will accomplish,” said Verdoes. For more information about flowering bulbs, visit Bulb.com.